On Friday October 20 the KBMP mentor exhibition, Cross-section opened at our studios on Leavenworth St. This was a chance to showcase the talents that our mentors bring to the program across the visual arts, as well as music and fashion. Students were able to see in person the work of mentors they have been getting to know for the past nine weeks, and hopefully feel inspired in the run up to their own exhibition next month. Exhibiting artists include our first-time mentors for the Fall semester: Jeremy Bell, Christina Ellis, Sarah Rowe, Jesse Ross, and Sarah Kuester. Jeremy Bell uses a spectrum of materials including oil, charcoal, wax and acrylic to create portraits of African-American men and women. 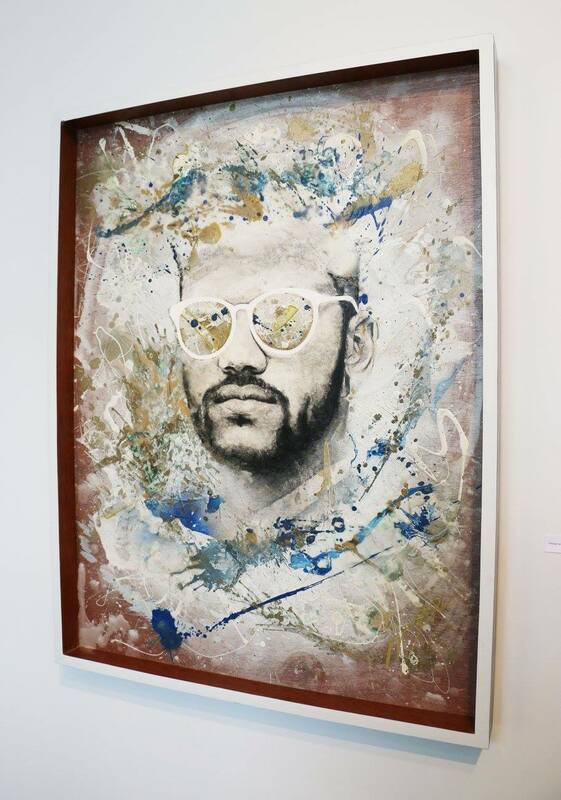 His expressive and textural style lends drama and dynamism to the large-scale pieces. 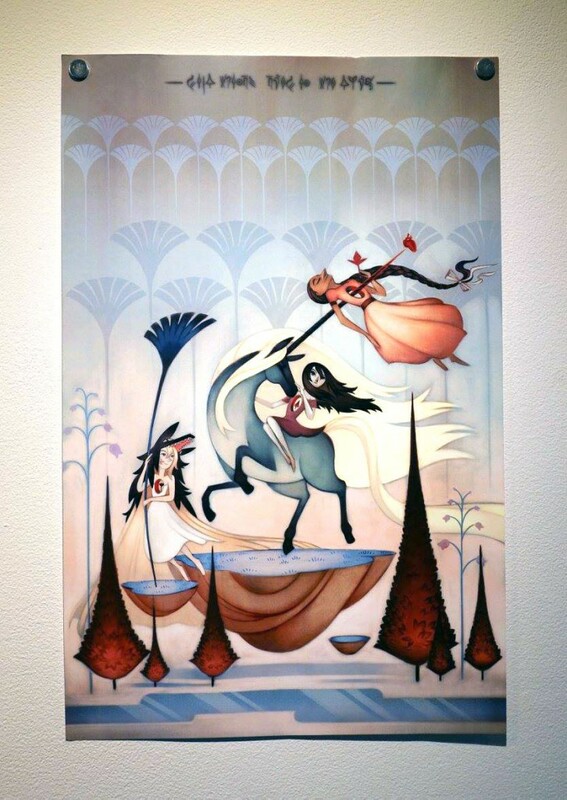 Christina Ellis is a digital artist and illustrator, who has worked with big-name clients in book illustration, video game art, advertising, and movie storyboarding. Her drawings of monsters and strange characters evoke dream-like and other-worldly scenarios that are both adorable and eerie. 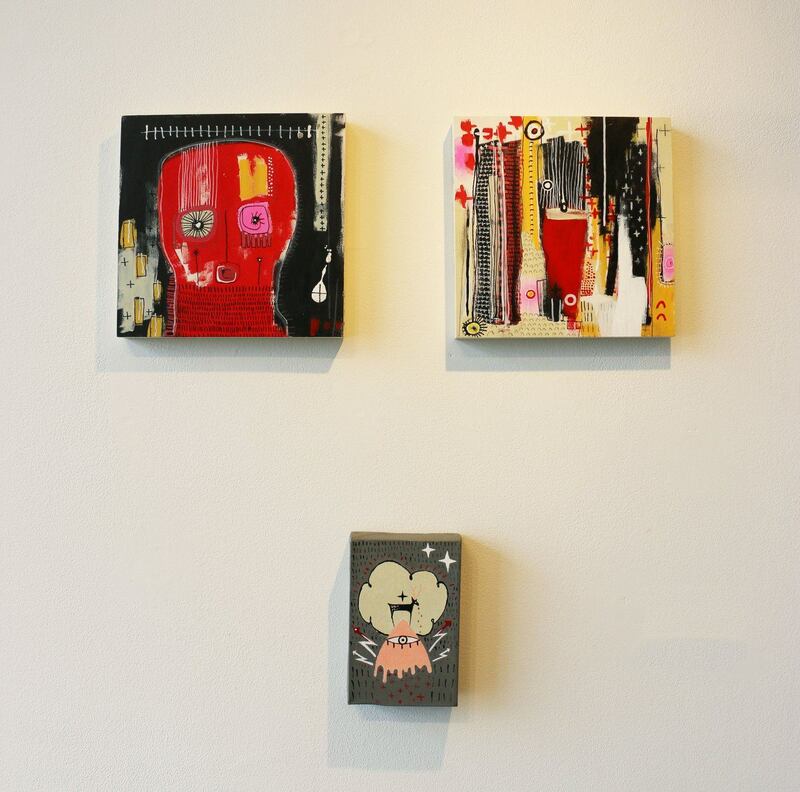 Sarah Rowe is a mixed media artist and co-founder of Benson’s Sweatshop Gallery. Her work references Native American symbology and history, which she explores through a wide variety of media from performance pieces and installations to painting and textiles. Jesse Ross is a ceramicist and one half of Clementine Porcelain. 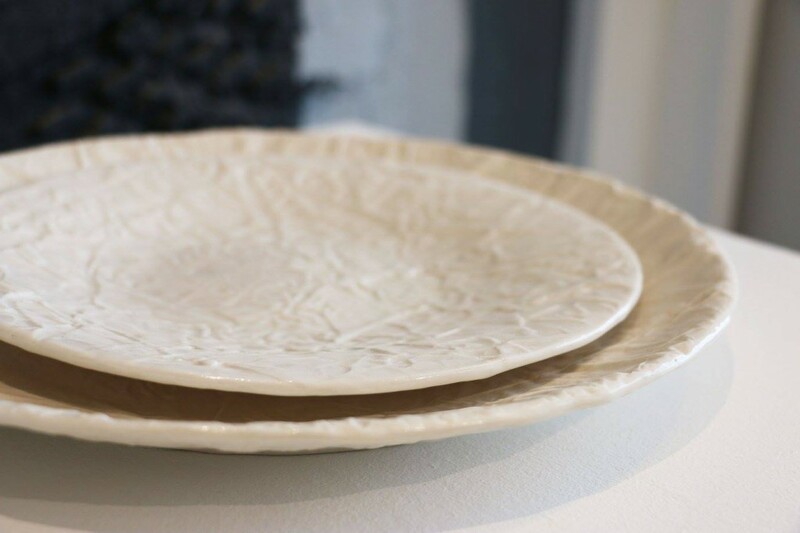 His beautiful, yet functional plates, cups and bowls echo the textures of paper, Styrofoam, and other delicate, soft materials. Sarah Kuester is a former art teacher for Gretna Public Schools, and now runs Two Keys Creative Studios, an arts education studio for children. 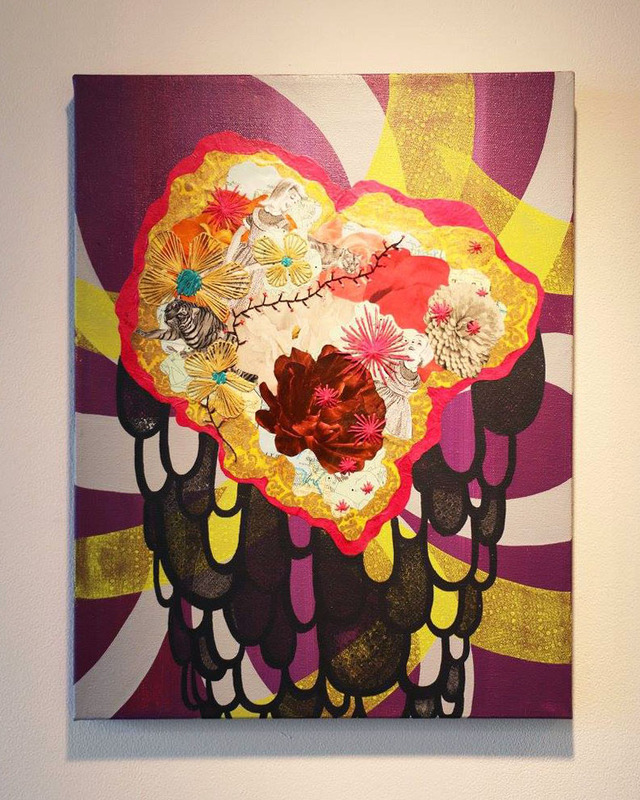 In her artwork she uses layers of paint and collage to create playful and colorful compositions. Cross-section is open by appointment until November 4.